When I was a young girl, my brother and I used to be collected from school every Thursday by our grandparents, and we were allowed to visit a local bakery to choose a cake for an after school treat. My brother always had a chocolate covered sponge rectangle shaped cake which was topped with a chocolate flake, and I would alternate between a similar shaped cake but one which was covered in pink icing and filled with sponge and fondant cream or a mallow cone cake, topped with multi coloured sprinkles. Nowadays, I am not sure I could take the sweetness of one of those mallow filled ‘ice cream’ cones, although I am sure I would try, you know just for old times, but I have not seen one for sale in a bakery for a long, long time now. 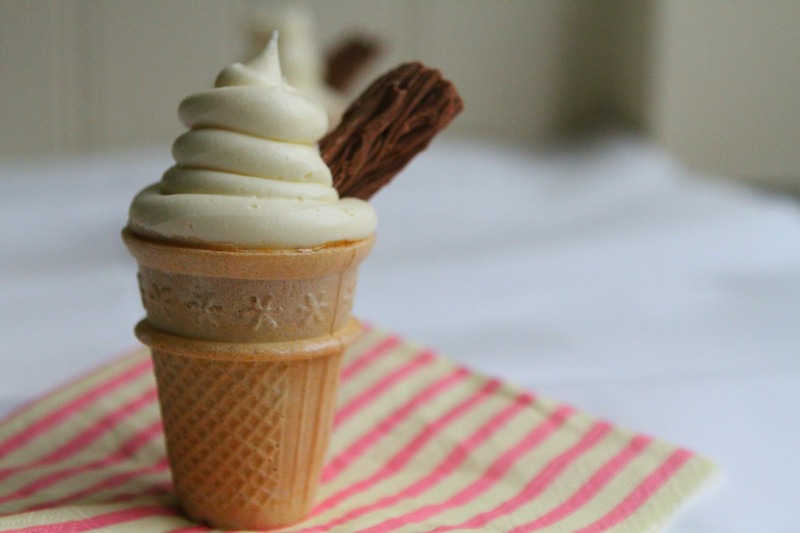 My Ice Cream Cone Cupcakes are a perfect take on those sweet treats from my past, and I think even tastier, and certainly feels like a very special treat whenever they are served. 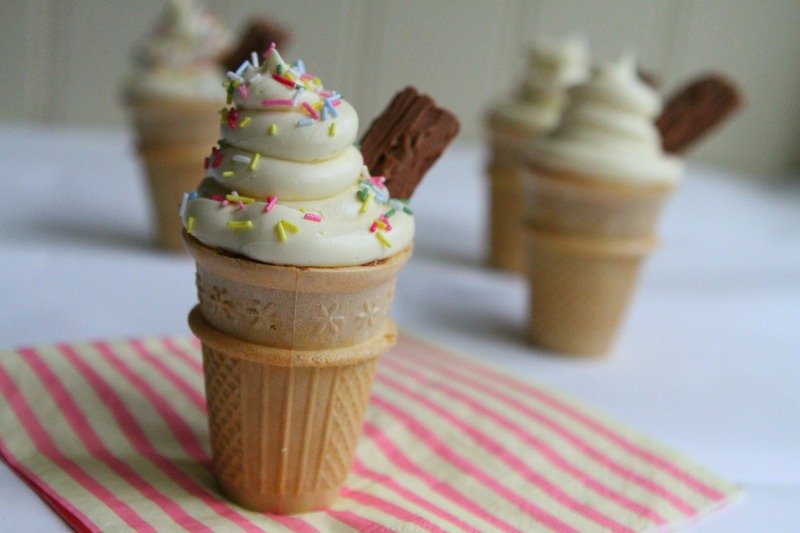 Perfect for parties of any kind, or maybe just a Sunday afternoon when friends pop over, these fun cone cupcakes are guaranteed to bring a smile to your guest’s faces, and add a touch of summer all year round. It may even take some back to their own childhood! 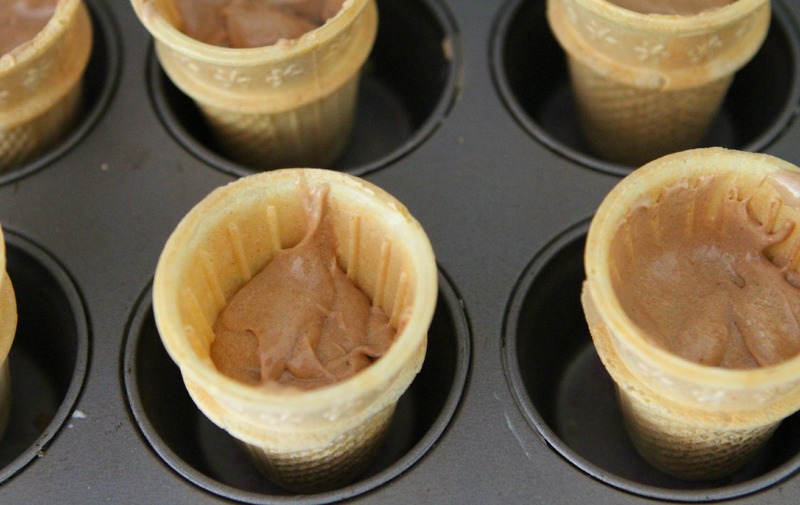 They are also a perfect bake to make with your little ones too. 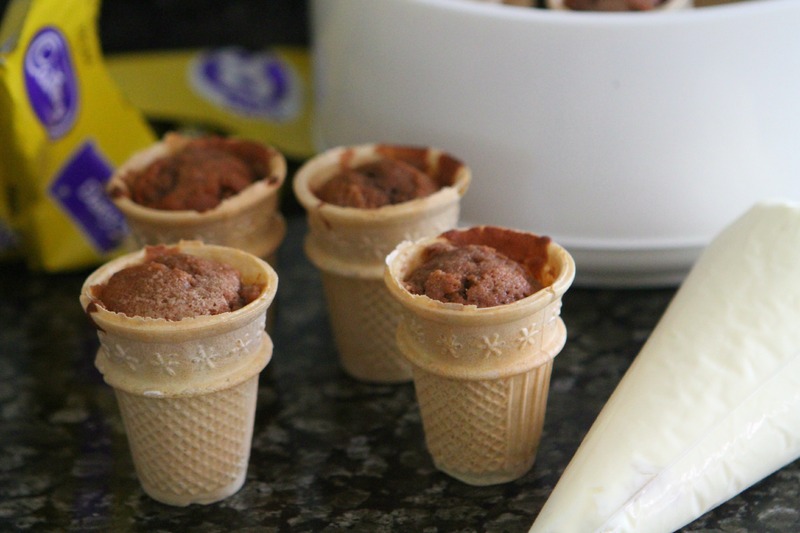 These cupcakes are actually baked inside ice cream cornets (the flat bottomed ones, the pointy ended ones would not stand up! ), and whenever I present these cute cakes to people who have never seen them before, they are always amazed that they do not burn while cooking. I have no idea why they don’t burn, but they don’t and that is good enough for me! I make my sponges chocolate flavoured, but this is optional and if you prefer yours just vanilla flavoured, then remove the cocoa powder and make it up with more self raising flour and then add 1 tsp of vanilla extract instead. Then add a flake into each one and add some hundreds and thousands for that extra pretty touch if you so wish. These really are delicious and I think they just look so good and pretty, and I challenge anyone not to be cheered up by being presented with one of these cupcakes. Last year I was asked to be if I would like to have a recipe published in an exclusive bloggers cooobook created by House Of Fraser. 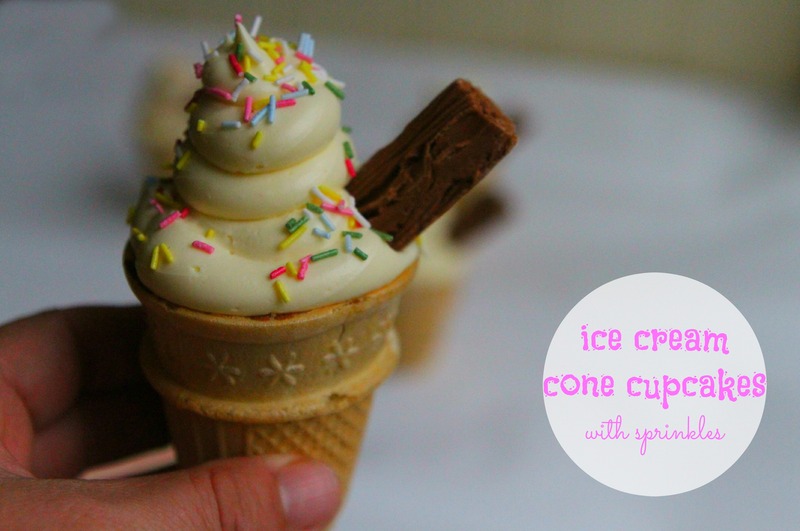 I naturally said I would and I decided to submit my Ice Cream Cone Cupcake recipe because I think it is just such a fun and creative way to make cupcakes, and appeals to kids of all ages from toddler to grandparents! 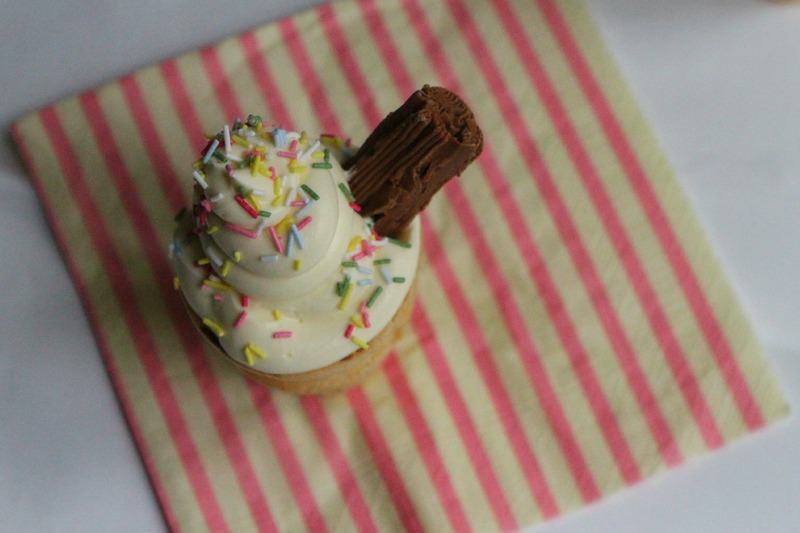 I baked these little ice cream cone cakes for my work when I went on maternity leave back in 2012. They went down a treat. I need to do them again. Thanks for the reminder. 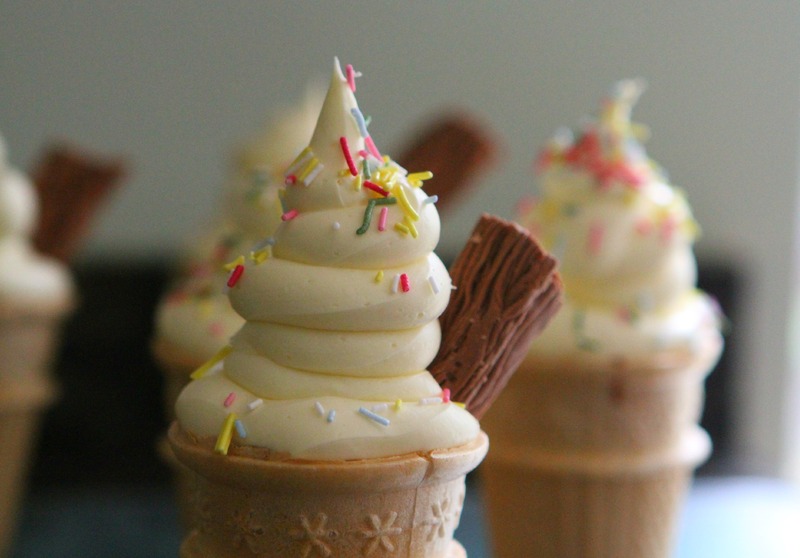 These look brilliant, just like the Mr Whippy icecreams. 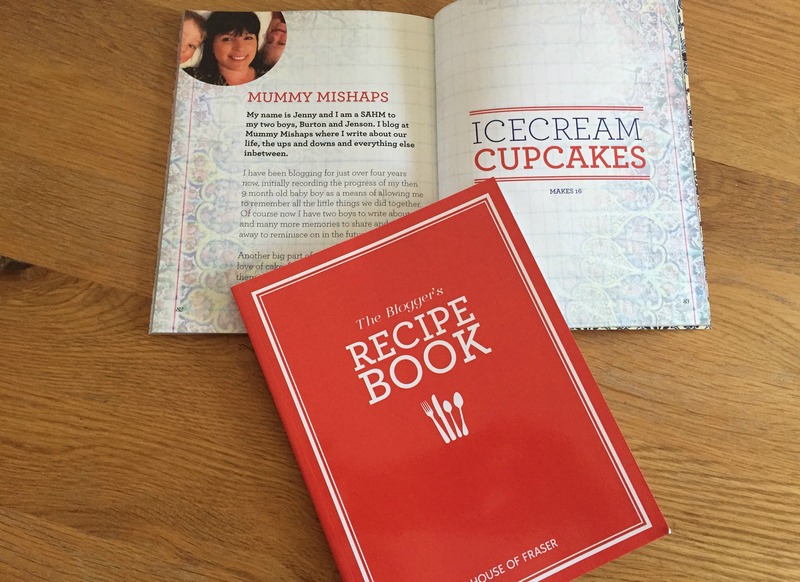 Congratulations on getting your recipe published, there’s something so special about seeing your own recipe on paper. Definitely one to pin and try with the toddler! !